Home / Digital Marketing / Instant Articles! Sweans Technologies now offering Instant Articles on Facebook. Instant articles help in delivery of an incredible, fast and immersive reading experience. It is actually a platform helping publishers to distribute their content within Facebook’s mobile app. With the use of Instant Articles, you can share your content just like you do it on your website, with interactive elements increasing the mobile view experience. Facebook users on Android and iPhones can easily access the contents. It’s fast and responsive and readers are really happy with the speed. Instant Articles are rather better for the end users just because they take far less time to display. Upto 10 times faster than our own website. Your content is your actual product and depending upon the aim with your content Instant articles may be a viable solution for anyone who deals with the contents. It’s entirely genuine that loading time is much basic to client experience and a single second’s delay causes upto 7% loss in transformations as when the content we require doesn’t show up inside seconds we really lose patience. Instant articles are streamlined to load 10 times speedier which makes readers appreciate, share and view faster. Instant articles have 30% higher share rates and 70% lower bounce rate than the usual articles. Publishers can serve and sell, their own rich media and display ads keeping 100% of the income. Publishers likewise have the choice to display ads from the Facebook Audience Network, to adapt any unsold stock. With this choice, the publisher gives Facebook a 30% taste and keeps 70% of the income. Facebook’s general development is energized by mobile ads, which represents about 78% of the company’s ad revenue and 74% of their aggregate income. Facebook is already getting popular among the users and now a days Facebook is the channel used to find contents to be consumed. Hence without any doubt the platform can be a very helpful content discovery network. Higher click through rates is also the major advantage of Instant articles which makes it the best for the viewers. Instant articles provide publishers to have a control of content experience branding options. Colors, logos, fonts and other embedded videos can also be adjusted with the Instant articles. This creates a powerful brand experience for your audience. There are majority of audience who are best in remembering things what they see than what they hear and that’s the reason why your brand’s visual appearance is extremely important. Increase in mobile use definitely has increased the number of Facebook users and therefore a full screen experience of Instant Articles gives publishers more control over what mobile users see. 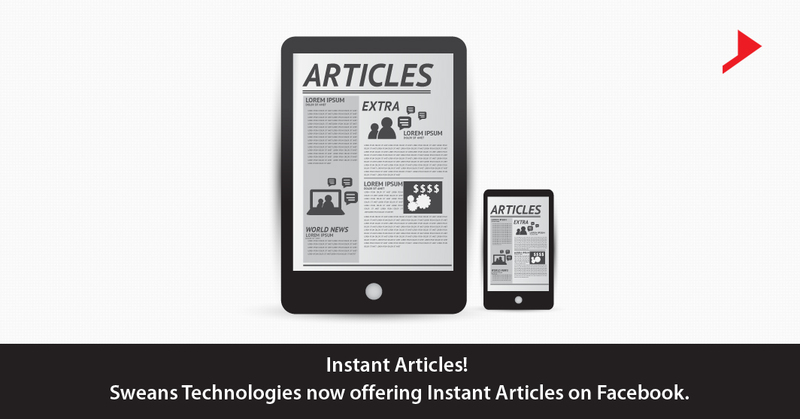 It’s a great pleasure to announce that Sweans Technologies is now offering our viewers the ability to enjoy our content through the Facebook Instant Articles service. We hope you enjoy this streamlined mobile access. As a reminder, our viewers who use Facebook Apps on Android and iOS can now onwards enjoy all the contents shared by Sweans Technologies in a very fast loading mobile format. 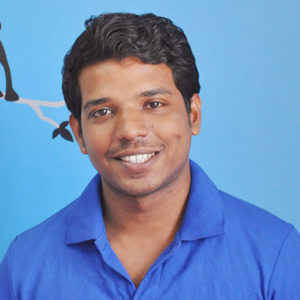 Having more than 7 years of experience in WordPress Web Development I am working as Senior Web Developer. Apart from being a tech enthusiast, I am always fascinated and greedy to learn the new progressions in web especially in WordPress. I am a lover of strategy games.